Holidays: A time to relax, umwind, catch some sun, take a deep breath, enjoy nature. Welcome to the Haus de Vios! Our well-kept and comfortably furnished two and a half room apartment with one bedroom is located in a four-family house in Fiesch. It features a balcony and a cosy barbecue area. 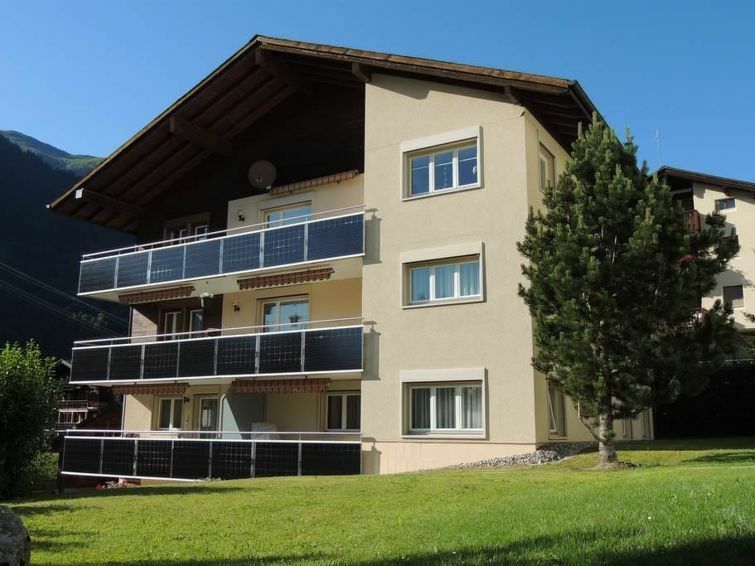 Central, quiet location, easily accessible, covered parking space (carport), bicycle and ski storage room.Our well-kept and comfortably furnished two and a half room apartment with one bedroom is located in a four-family house in Fiesch. It features a balcony and a cosy barbecue area. Central, quiet location, easily accesible, covered parking space (carport), bicycle and ski storage room. The open plan living and dining area has a flatscreen TV with integrated radio. The open kitchen is fully equipped with all the necessary kitchen amenities and kitchenware. In addition, there is a filter coffee maker, a Nespresso coffee machine, a kettle, a raclette stove, the necessary dishes to make cheese and other fondues (including chafing dish and cooking fuel), as well as dish towels and detergent. Bedroom with double bed, wardrobe, reading corner with armchair. The badroom has a shower, a towel warmer, ample bathtowels, a hair dryer, tollte tissue, hand soap, and Kleenex tissues. Books, hiking maps, brochures, several parlour games, iron with ironing board, and ample clothes hangers are also provided.Free parking in carport. Free storage for bicycles and skis. Free WiFi. Free: One official garbage bag per week.